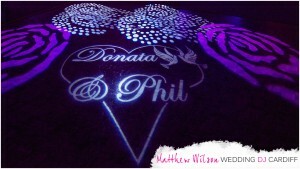 Starlit Dance Floors, Backdrops, Uplighting, Wedding DJ, Host and more.. 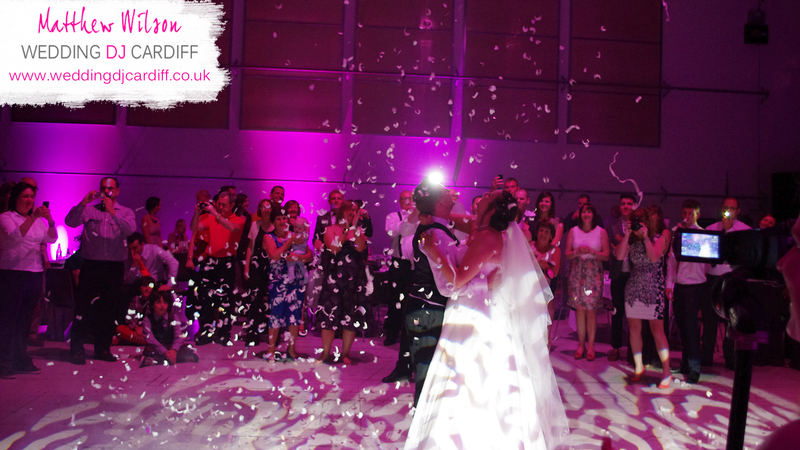 If you're planning your wedding, get in touch to secure your date with the industry specialist. Wedding DJ Cardiff est. 2012 is a company run by me, Matthew Wilson. We have provided thousands of weddings throughout South Wales and further afield. We have such a fantastic reputation across the country that other companies now try to pass themselves off as us! Have no mistake, we are the ORIGINAL Wedding DJ Cardiff. Before Wedding DJ Cardiff, I built up many years of experience as an international DJ. Heading from country to country pleasing crowds from exclusive VIP events to tens of thousands of party-goers at beach parties. Since graduating university, I have been providing amazing wedding services to couples across Cardiff, the South Wales area and further afield for those who want something special. I want you to have an amazing wedding day. My team and I have the skill, expertise and equipment to provide you with a wedding to top all others. Your satisfaction is my number one priority. I will personally meet you and your partner to talk about your wedding requirements, together we can run through the points that matter to you. Because we own everything we offer, the quality of what you receive is controlled by us, not by some other company you’ve had no contact with. To keep up to date on the latest work we do, Like our Facebook page. Let people know you’re planning something amazing for your wedding day! We have a fantastic reputation across the country, we’re known for quality and attention to detail. 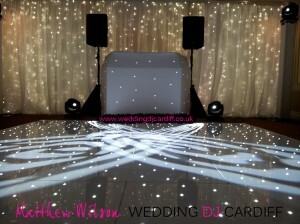 Check out our reviews here: Wedding DJ Cardiff Reviews and also on our Facebook page. If you want a Cardiff Wedding DJ, you have plenty of choice. From bottom end budget South Wales DJs who will literally ruin your wedding, to specialist South Wales Wedding DJ companies who offer the whole package, not just the evening music. 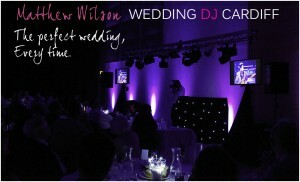 What makes Wedding DJ Cardiff unique is our 100% 5 star customer feedback. We’ve always exceeded customer expectations and we enjoy being the only wedding DJ company in Wales who can make and back up such a claim. ALL of the services Wedding DJ Cardiff offer are owned by us, which means we can guarantee the quality, prompt delivery and operation of each of the services. We guarantee that our starlit dance floors, DJ booths and starlit backdrops all match and are of the same colour white (not ivory). Wedding DJ Cardiff has been built from the ground up and the services we offer are aimed purely at wedding couples looking for a wedding DJ in Wales. It’s what we have come to love and enjoy being part of. Nothing makes us happier than knowing that we’ve made a wedding couple’s dreams come true. If you’d like to begin creating your bespoke wedding package, head to our “build your own wedding package” page. 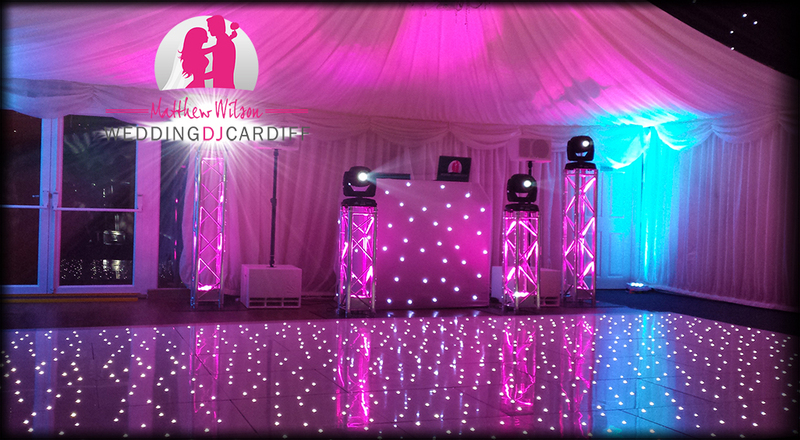 Wedding DJ Cardiff was launched as a company after the soaring popularity of my South Wales mobile disco company – Desire Disco wedding DJ South Wales. It soon became apparent through the 100% customer satisfaction record that the website aimed at mobile discos in general (Birthdays, Engagements, Anniversaries, Corporate etc.) was quickly becoming a wedding only site. Wedding couples were booking years in advance and it left no space for other clients ringing up a few months or weeks prior to their event. 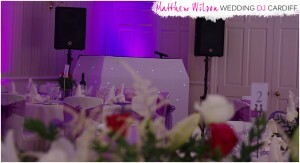 I gradually transformed the site from being an all round mobile DJ website into a Wedding DJ South Wales website. This was not my intention for the website from the start, so where Desire Disco wedding DJ South Wales used to be the place for me to reach my clients, Wedding DJ Cardiff is now the shop window – so to speak. You will no doubt spend many hours picking through various suppliers and selecting the services you like the look of. My wedding DJ services are designed to compliment your wedding decorations, so that when I’m set up and ready to go, the appearance of your wedding venue will not be ruined with cheap flashing lights and cables running everywhere. I promise that you’ll love the look of our DJ system, it never fails to impress. If you want to see more of what we have to offer our wedding clients, please continue browsing the Wedding DJ Cardiff website.